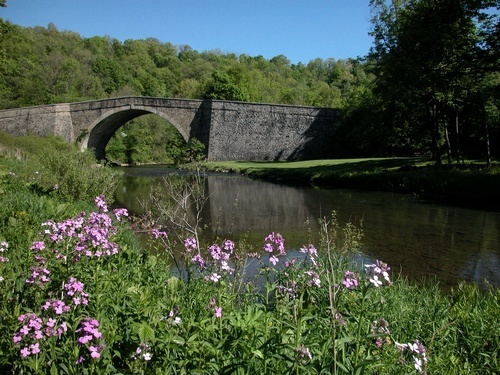 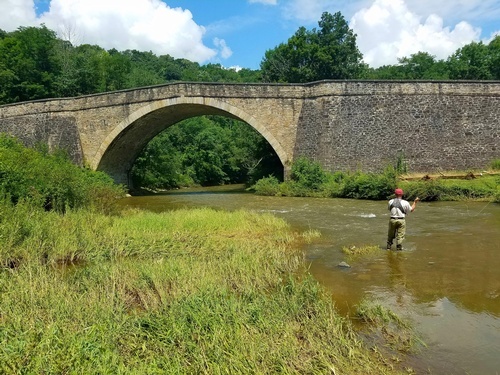 Spanning four acres and located in Garrett County, Casselman River Bridge State Park is east of Grantsville on U.S. Route 40. 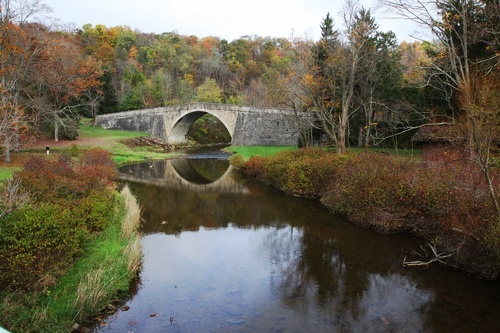 The beautiful, 80-foot stone arch bridge was part of the old National Road. 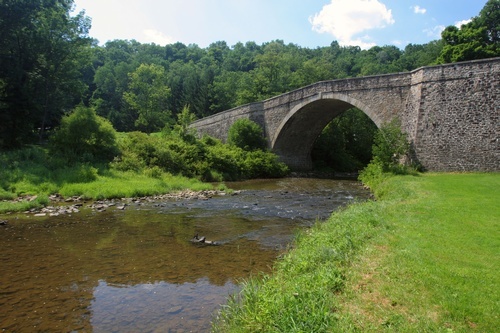 When constructed in 1813, it was the largest of its kind in the world.